Just finished cleaning, lubing and rewiring this Residence, Cat. No. 19511, No. 747826. 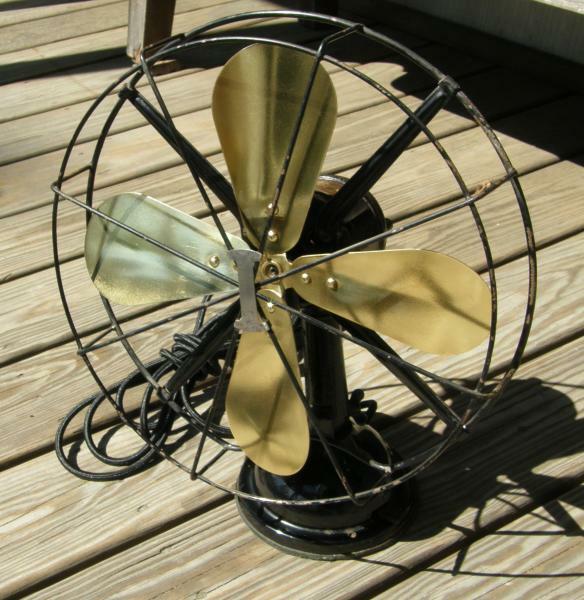 It's my first brass blade fan, but I'm not happy with the way the lacquer turned out. I think it was still to humid, even with a dehumidifier going. It runs great though. The obvious questions for a nubie like me are, "how old?" and " "Should that badge be turned 90 degrees?" My sharp-eyed young neighbor spotted the ghost image of lettering on the badge. It might say, "Residence." Thanks. A pic of the ID badge is attached. Page processed in 0.1898 seconds (36% database + 64% PHP). 27 queries executed.